Russ & Tion Wayne bring through Aitch, Jay 1, Sav’O & Swarmz for ‘Keisha & Becky’ remix! It’s been just over a fortnight since the Gun Lean King, Russ, and Tion Wayne dropped off their popular joint ‘Keisha & Becky’, a track which has seen huge amounts of love with endless amounts of radio play, 3.4 million views on YouTube and over 3.7 million streams on Spotify alone. When you’ve got a track doing those kind of numbers it’s clear to see that the fans want more, and that is exactly what this wavey duo have given them. 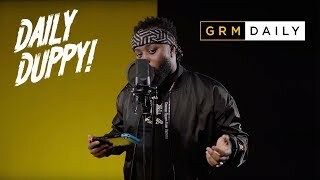 Russ and Tion decided now was the perfect time to drop off a remix, and it is 0161 talent, Aitch, JAY1, Sav’O and Swarmz who get the call to come through and bless the beat! This all-star remix is already doing up huge numbers, so jump on the wave now and let us know if you’re feeling it!